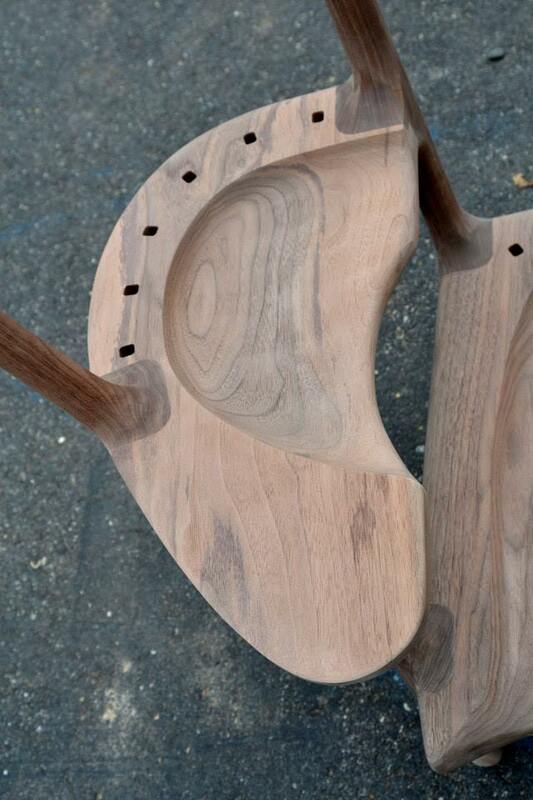 This May Look Like A Strange Chair, But Wait Until You Hear The Story Behind It. When Hal Russell Taylor found out he and his wife would be having a third child, he was thrilled! Having another kid meant Taylor would have one more child to read to, which is one of his favorite past times. But then Taylor realized a potential problem: how would he read to all three of his children at once? That’s when this clever carpenter came up with an amazing solution. 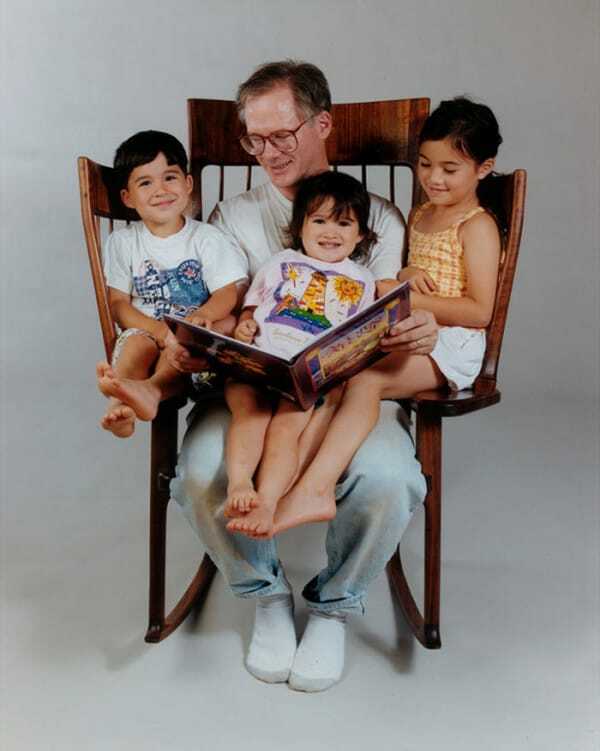 Taylor created the StoryTime Rocking Chair, so none of his kids would have to miss out on story time! The chair is fitted with two extra seats near the arms! 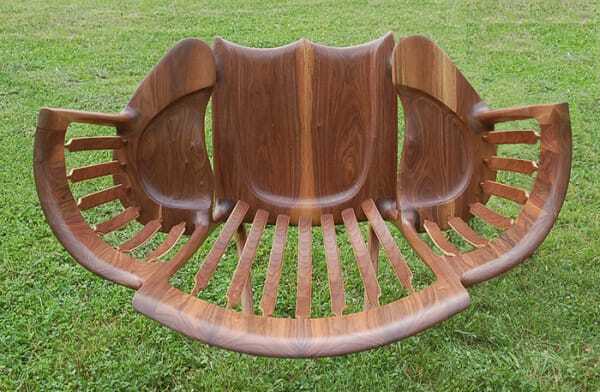 Taylor made the chair by hand, which can comfortably fit two children in the extra seats, with one on dad’s lap! This is a wonderful example of putting your skills to use to create something that’s both special and unique! 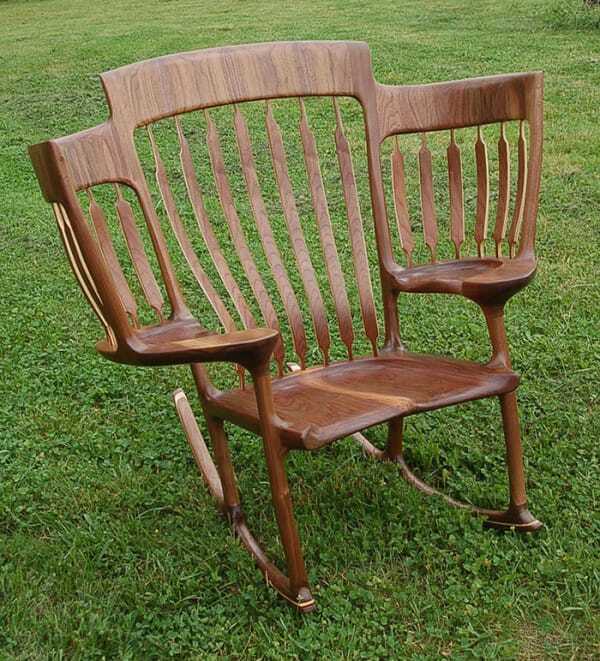 This one-of-a-kind chair will no doubt be a family keepsake for years to come, and a treasured item full of memories.